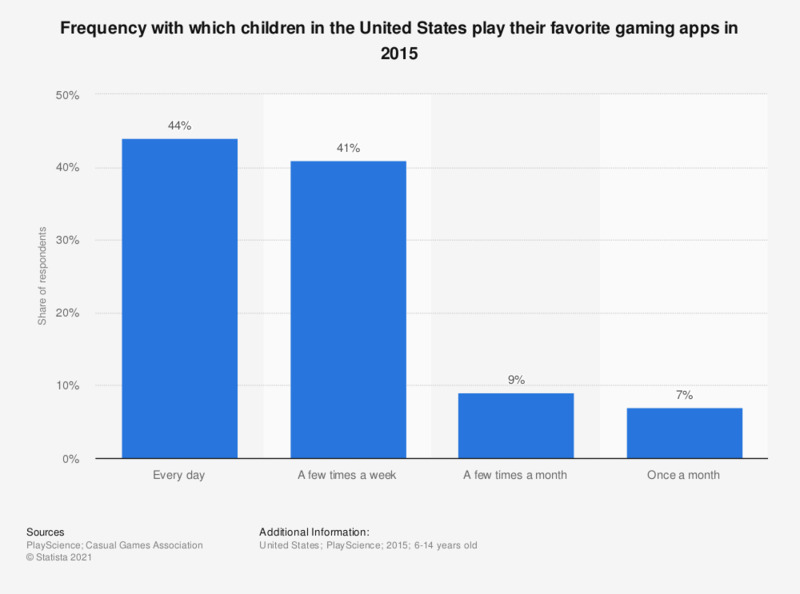 The graph shows information on the frequency with which children in the United States played their favorite gaming apps in 2015. According to the source, 44 percent of respondents played mobile games every day, while seven percent played once a month. The source does not specify the sample number or the date of the survey or survey type. How well do you know the new smartphone app Pokémon Go? Which of the following have you done while you were playing Pokémon Go? For what reasons, if there are any, aren't you interested in playing the new smartphone app Pokémon Go? How interested are you in playing the new smartphone app Pokémon Go?